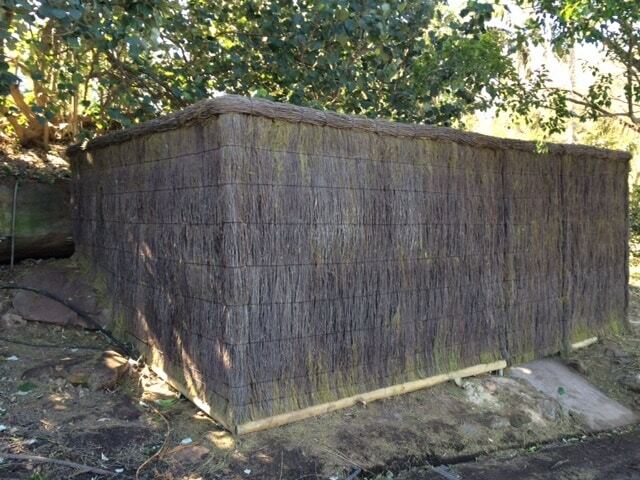 Brush Wood fences are offer a great way to hid unsightly items on your property. Called to a lovely semi-rural property in Duffy’s Forrest where you could tell the owners were proud of their property and were building and renovating to keep it looking good. Frustrated with a small and run-down old fence around the Septic Tank, the customer wanted us to build a taller brush fence to hide their septic tanks, yet still provide access to the area should it be required. 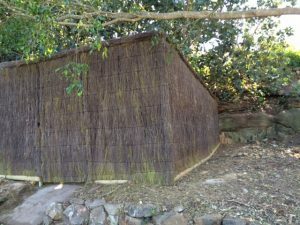 Following the brief, we built the frame and covered it with a 3m high Brush Wood Fence. 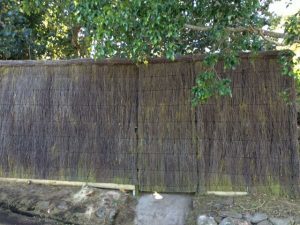 The new Brush Wood Fence hides the unsightly septic tank, yet allows access to it as and when needed with a gate. The customer chose a brush wood fence as they liked the softer more natural look it provided over a timber fence. This natural look combined with their rural setting and horses was a perfect fit for their property. Better still for the owner, outsiders wouldn’t know what was hidden behind the fence. If you have an area of your property that you would like hidden with a fence, call 0410 695 956 for an obligation free quote.